Lisbon is a wonderful tourist destination and 3 days is the ideal length to fully discover the city. Three days is enough to gain a true appreciation of Portuguese culture and of this fascinating city, while being able to visit all of the historic districts and tourist attractions. This 3-day guide has been designed purely for the city of Lisbon, but a visit could be easily extended to 5-7 days in order to explore interesting day trips in the region (Sintra, Cascais, Obidos, Sesimbra), or to spend time on the glorious beaches surrounding the city. For the first day it is suggested to explore the two central, but vastly different, districts of Baixa and Alfama. Steeped in a rich history, both districts are crammed full of unique sights, monument and tourist attractions. After Baixa was completely destroyed by a devastating earthquake in 1755, the reconstructed district became one of the first examples of a grid-and-block layout. This characteristic arrangement is now common throughout the modern world, but was considered revolutionary in the 18th century. 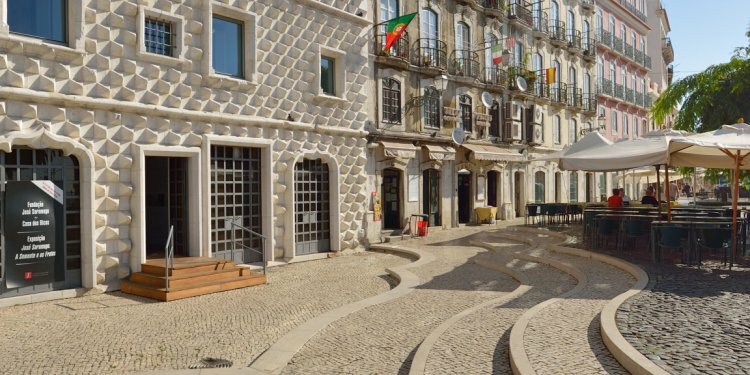 Baixa comprises a series of grand avenues connecting to magnificent plazas, all of which were funded by the wealth of the Portuguese colonies. For the second part of the day it’s suggested to explore the districts of Bairro Alto and Chiado, situated to the west of central Baixa. Now the city’s theatre district, Chiado was historically the artisan district of Lisbon where Portugal's intellectuals discussed the important issues of the day. For the evening, try dining out at one of Baixa’s excellent open-air restaurants, or eat cheaply at one of the noisy and sociable Tascas (inexpensive, traditional restaurants popular with locals). For your meal be sure to try some of the unique Portuguese cuisine, including Bacalhau (salted cod fish), which supposedly has over 365 different methods of preparation. For the remainder of the night, kick back and relax in the bars and late-night eateries behind Teatro Nacional D. Maria II (north of Baixa), watching the bustling tourist and local-filled streets go by with a glass of locally-produced wine. For the second day, your trip should feature a visit to the historic Belem district, the Estrela Basilica, and a ride on the number 28 tram. The majority of the day will be spent in Belem, where there are numerous tourist attractions and countless historic monuments. Belem is a picturesque district to the west of Lisbon, which lines the banks of the River Tejo; for a detailed guide to the area, please click here. Belem has a close connection to the great Portuguese explorers of the past, and it was here that Vasco da Gama spent his last night before discovering the sea route to India. Meanwhile, the parks and green areas of Belem were once the harbours, boatyards, and docks for these great voyages. Later on, the gold and wealth that flowed in from the African and Brazilian colonies funded the construction of the magnificent Mosteiro dos Jeronimos, a monastery dating back to the late 15th century. This glorious history is commemorated by the Padrao dos Descobrimentos monument, and from the viewing platform of this imposing piece of architecture are stunning views over Belem and the Tejo Estuary. Further along is the Torre de Belem, a charming little fort that guarded Lisbon from seaward attack. The massive Belem Cultural Centre complex was constructed to house the 1992 European Union Presidency, and is now home to the Berardo Museum, the best free art gallery in Lisbon.